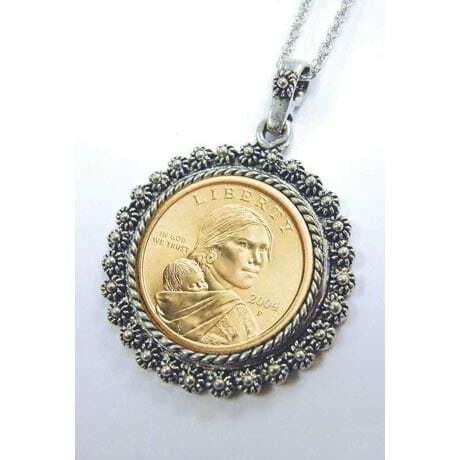 This elegant pendant features a genuine Sacagawea "golden" dollar coin minted from 2000 - 2008! 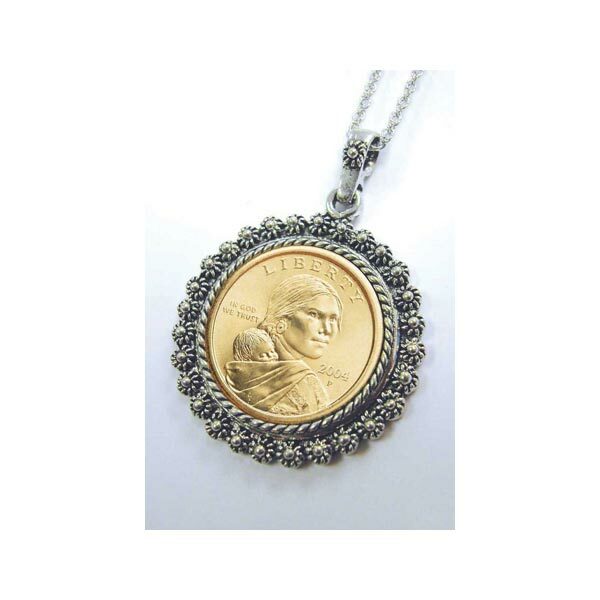 The Sacagawea dollar coin is one of the most beautiful U.S. coins ever minted. It exemplifies the spirit of liberty, peace and freedom shown by Sacagawea in her work as an interpreter and guide to acclaimed explorers Lewis and Clark. The coin is encircled with a floral motif border and floats gracefully on a 24" chain. Item can only be shipped within the Continental US.